Whatever your forecasting needs, Itron has the products, services and experience to get you there. Take the guesswork out of operations and planning. Renewables? Intermittency? Load volatility? We’ve got you covered. Whatever your situation, Itron can help strengthen and improve the forecasting process. For over three decades, Itron has been building and refining methods that we believe to be industry best practices. We appreciate the opportunity to share this knowledge with our utility customers. Itron staff have a deep understanding of forecast processes, with experience dating back to the 70s. We have worked with hundreds of utilities to help with their most difficult problems. Itron has a proven set of best practices which we have developed over three decades and monitor continuously through annual benchmarking surveys. Join the Itron network of utilities who want to leverage their AMI investment to improve financial operations and provide clarity and visibility to the future. This subscription service provides members with a valuable stream of regional end-use data. Both history and forecasts are provided. EFG members represent well over 50% of energy delivered in North America. And the group's annual conference is a great opportunity to keep up to date with forecasting peers. The statistically adjusted end-use (SAE) approach was pioneered by Itron to combine the strengths of statistical modeling with the information content of end-use analysis. The approach builds on the data available through the EFG. The result is a statistical model that is calibrated to local data and that explicitly accounts for important changes in lighting, heating, cooling and other end uses, as well as new technologies such as rooftop solar and electric vehicles. Itron forecasting software products are built specifically for the energy industry. These products are proven and widely used to implement best-practices in short-term, medium-term and long-term forecasting. We have a broad portfolio of forecasting software products. This tool sets the standard for short-term forecast accuracy, reliability, scalability and flexibility. It is the primary forecasting system used by the world's largest system operators and serves as the back-office engine for the Forecast as a Service offering. This powerful statistical package, with a 20-year track record of performance and success, is built specifically to solve energy forecasting challenges associated with statistical modeling. This Windows application provides a powerful toolkit for building bottom-up load shape forecasts and forecasting peak demand, while making hourly load shape data easy to visualize, analyze and calibrate. Use this time-series database in SQL Server or Oracle to streamline, centralize and simplify forecasting processes. Building on this foundation with the modeling capabilities of MetrixND provides a robust forecasting solution. Load Research and AMI data are key inputs to robust forecasting processes. LRS supports all accepted sample design and expansion methods, providing you with valuable insight into how your customers use energy. Our software solutions are backed by a team of team of industry experts with deep experience. Make Itron one your strategic partners to meet your energy forecasting needs. Itron reviews forecasting process, models and results. Compares to industry standards, and provides recommendations for improvement. Itron Implements or supports implementation of recommended process improvements. Itron provides written and/or live testimony to regulatory authorities in support of forecasts and forecast processes. Itron provides web-based or on-site training on forecast methods, analysis methods and software usage. Itron provides knowledgeable and experienced energy forecasters to augment internal capabilities or fill in gaps. Itron provides expert services to perform all aspects of the forecasting process, providing resource flexibility. Itron delivers subscription-based services, such as Energy Forecasting Group (EFG), which provides access to a library of regional end-use data and SAE Models, which provides statistically adjusted end-use models and analysis. The full capabilities of the Itron Demand Forecasting System are also available in a cloud-based solution running on Microsoft® Azure. With this approach, Itron is responsible for system and model maintenance and monitoring. With Forecast as a Service, all you need to do is provide updated energy data, and Forecast as a Service delivers updated forecasts. You get the power and accuracy of the Itron system without incurring the upfront cost of acquiring hardware and software, or incurring the on-going cost of operating and maintaining the system. Over the years, numerous clients have requested a “recipe book” for building powerful short-term load forecast models. This guide is a partial “recipe book,” providing the full list of possible ingredients with guidance as to when to use which combination of ingredients. The focus is on building the within-day and day-head load forecast models that system operators and energy traders rely on for scheduling, dispatching, and procuring generation to meet demand. The information presented is based on 20 plus years of experience forecasting in the trenches with system operators and energy traders in Australia, Europe and North America. The Guide begins with the hard work of data review and analysis. In practice, the path to a powerful forecast model is through a very thorough analysis of the data. The first section outlines an approach for reviewing load data. This is followed by data cleaning approaches and philosophies. With the preliminaries complete, the Like Day, Multivariate Regression, and Neural Network load forecast techniques that are the bread and butter of the industry are introduced. The discussion includes descriptions of machine learning frameworks that can be used to complement today’s operational load forecast tools. Next is defining a set of explanatory variables that can be used in a load forecast model including the treatment of calendar conditions, holidays, and weather conditions. A series of load forecast model recipes and associated model building guidelines are introduced. The Guide finishes with basic concepts related to incorporating behind-the-meter solar generation into a load forecast model. Learn how you can unlock the power and value of interval data as well as provide efficient, reliable and flexible aggregation. Does the Hype Meet Reality? 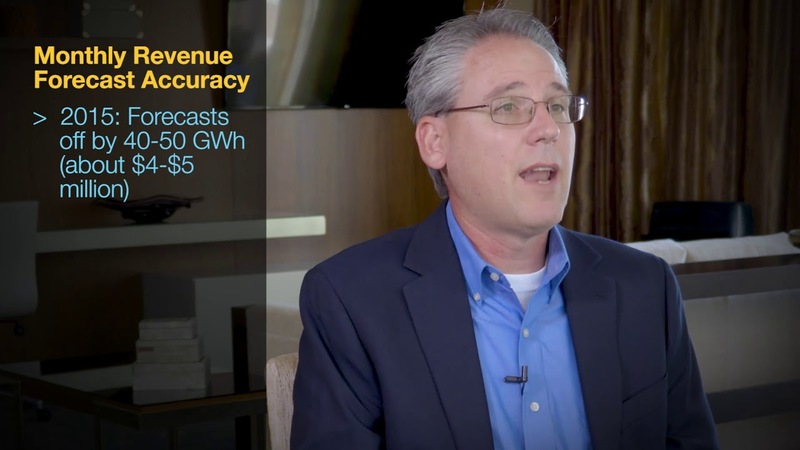 Itron pioneered the integration of Distributed Energy Resource forecasts into the real-time load forecasts that system operators require to manage the grid on a daily basis. Itron’s newly released white paper on the Integrated Energy Forecasting Framework (IEFF) describes how this concept has been extended to long-term load forecasting.